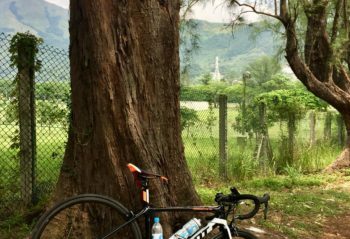 Date: 2018/06/10 (Sun) Place: Shek Wu Wai Road, Ngau Tam Mei, Yuen Long, Hong Kong Remark: Group ride from FoTan to Fairview Park near Yuen Long. This tall old tree is next to Tam Mei Barracks. You may click here for full details of my ride on my blog.